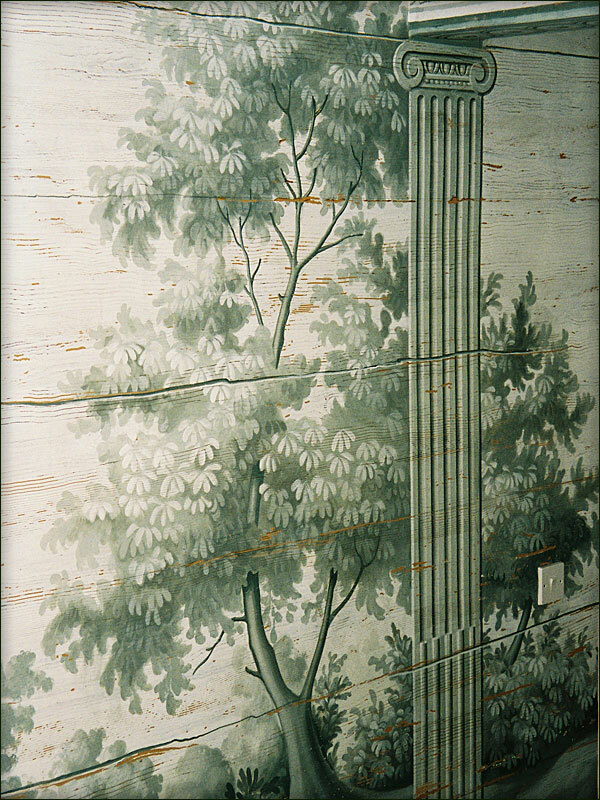 Mark Done is a designer and decorative artist working in the creative field of hand painted murals ornamentation and applied arts. 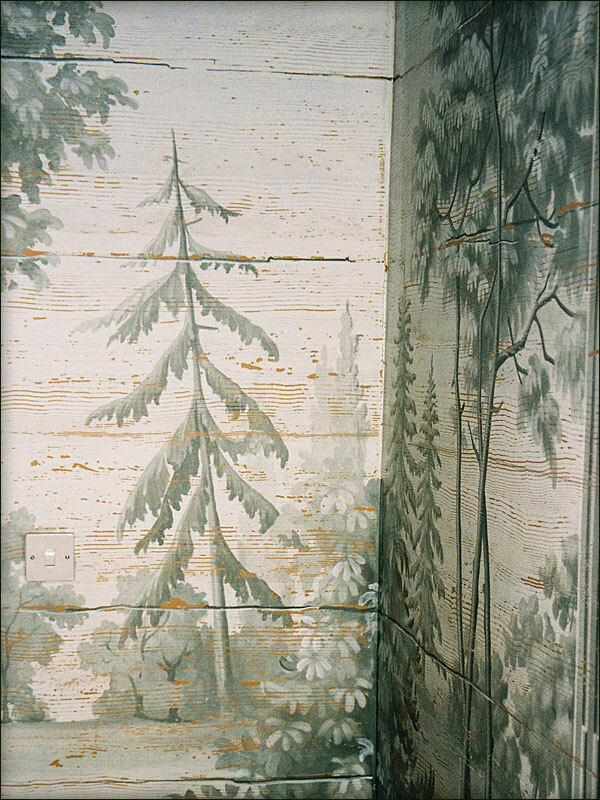 His projects incorporate a variety of styles and techniques used in the rendering of large panoramic scenery or finely detailed arabesque panels. 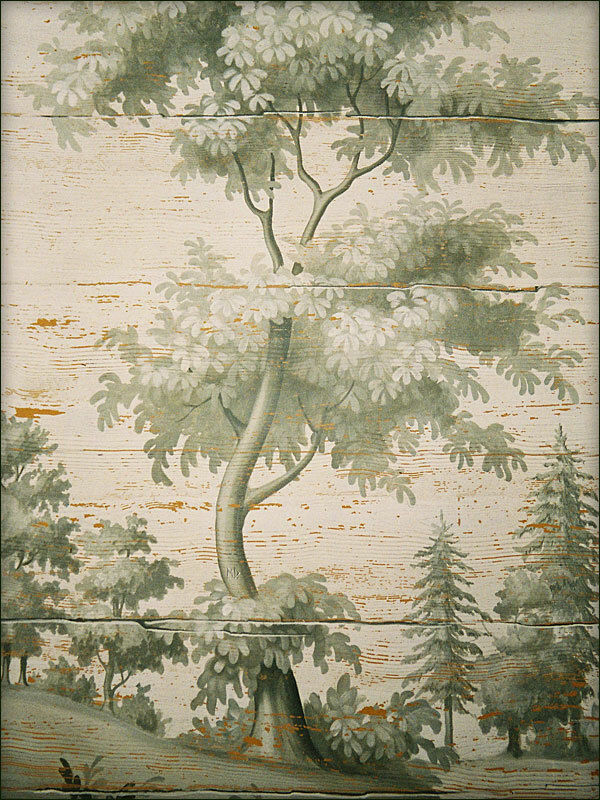 As this scheme was for a country residence it was decided that it should remain simply as painted trees. 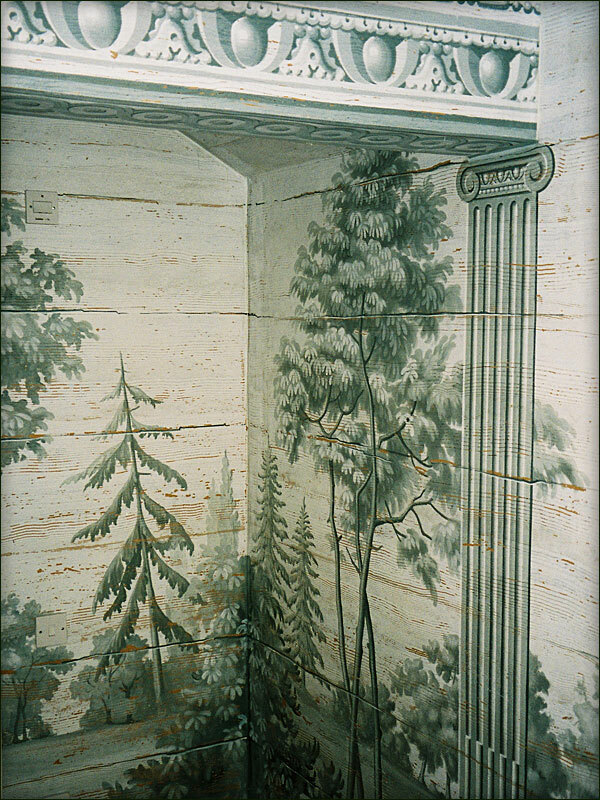 More ornate mouldings and pilasters were painted to make an interesting feature from a clumsy beam that traversed the room. 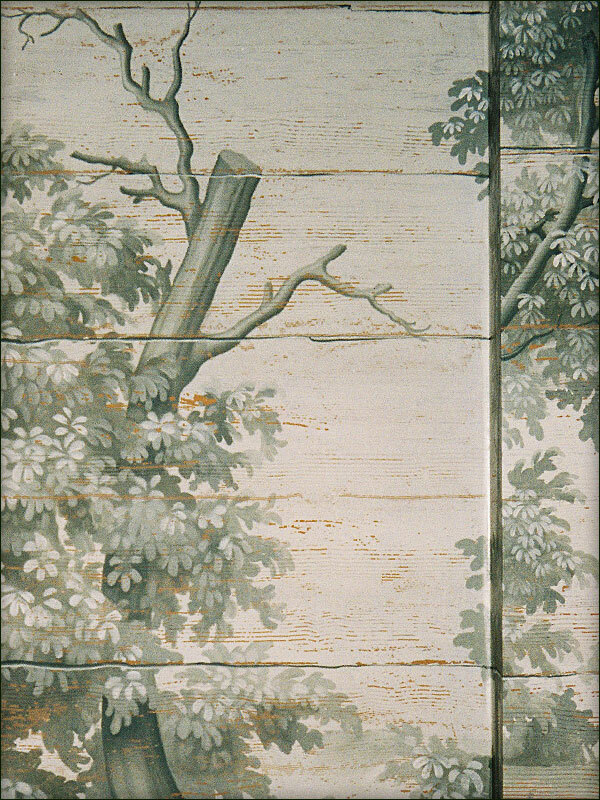 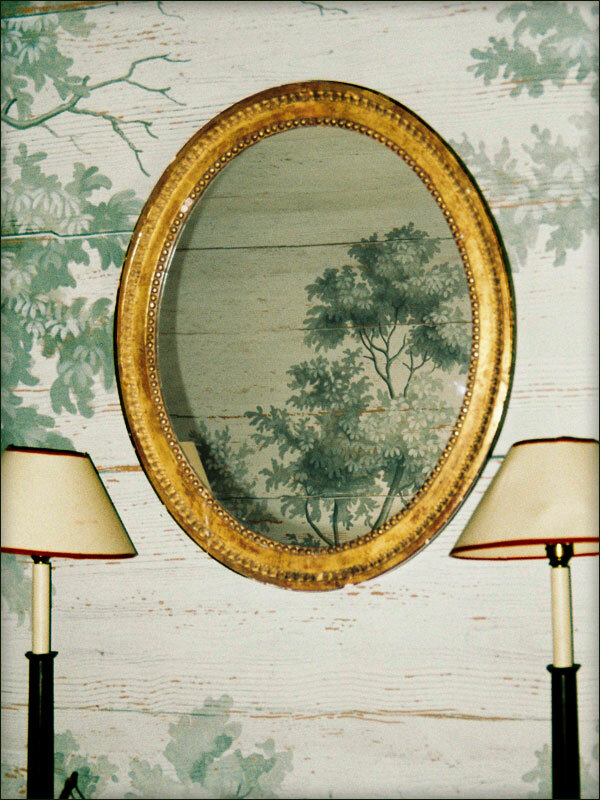 The grisaille scene was painted over a raised textured background to mimic wooden planking which is revealed in areas where paint has been intentionally peeled off to create an antiqued effect.